Climate change is one of the most important environmental problems faced by Planet Earth. The majority of CO2 emissions come from burning fossil fuels for energy production and improvements in energy efficiency shows the greatest potential for any single strategy to abate global greenhouse gas (GHG) emissions from the energy sector. Energy related emissions account for almost 80% of the EU's total greenhouse gas emissions. The building sector is the largest energy user responsible for about 40% of the EU's total final energy consumption. In Europe the number of installed air conditioning systems has increased 500% over the last 20 years, but in that same period energy cooling needs have increased more than 20 times. The increase in energy cooling needs relates to the current higher living and working standards. In urban environments with low outdoor air quality (the general case) this means that in summer-time one cannot count on natural ventilation to reduce cooling needs. Do not forget the synergistic effect between heat waves and air pollution which means that outdoor air quality is worse in the summer aggravating cooling needs. Over the next few years this phenomenon will become much worse because more people will live in cities, more than 2 billion by 2050 and global warming will aggravate cooling needs. 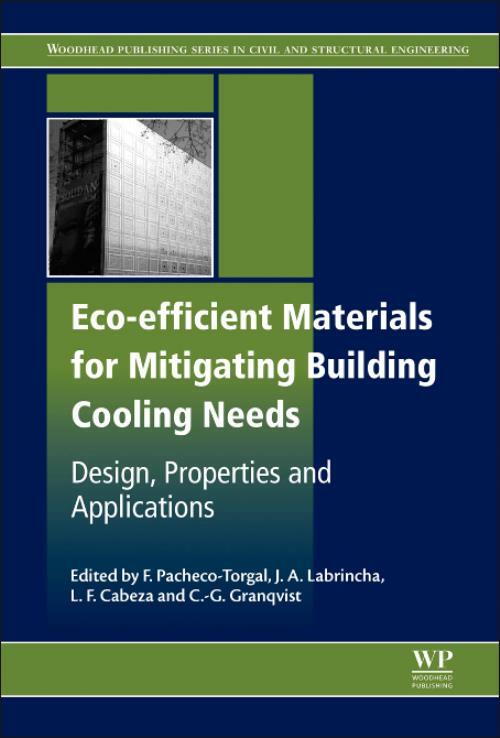 Prof. Dr. Luisa F. Cabeza is a full professor on Thermal Engineering at the University of Lleida, Spain. She holds a degree in Industrial Engineering and in Chemical Engineering, as well as a MBA and a PhD in Industrial Engineering (University Ramon Llull, Barcelona, Spain). Prof. Cabeza's research interests include thermal energy storage in all its aspects, from the different technologies (sensible, latent and sorption&chemical reactions) to different applications. Further research interests include social aspects (social acceptance, social evaluation, etc.). She is active in different national and international networks on the topic and she holds numerous awards. Prof. Cabeza has co-authored more than 250 journal papers and book chapters in the area of thermal energy storage. Claes Goran Granqvist is a Senior Professor of Solid State Physics at the Ångström Laboratory, Uppsala University, Sweden. His research is focused on optical and electrical properties of materials, especially thin films for energy efficiency and solar energy utilization. Professor Granqvist has been a member of the CEI-Europe Faculty since 2002.